Summertime is finally upon us! That means lots of sunshine, salty-filled-ocean breezes, memory-making moments and wanting a break from cooking; am I right?! 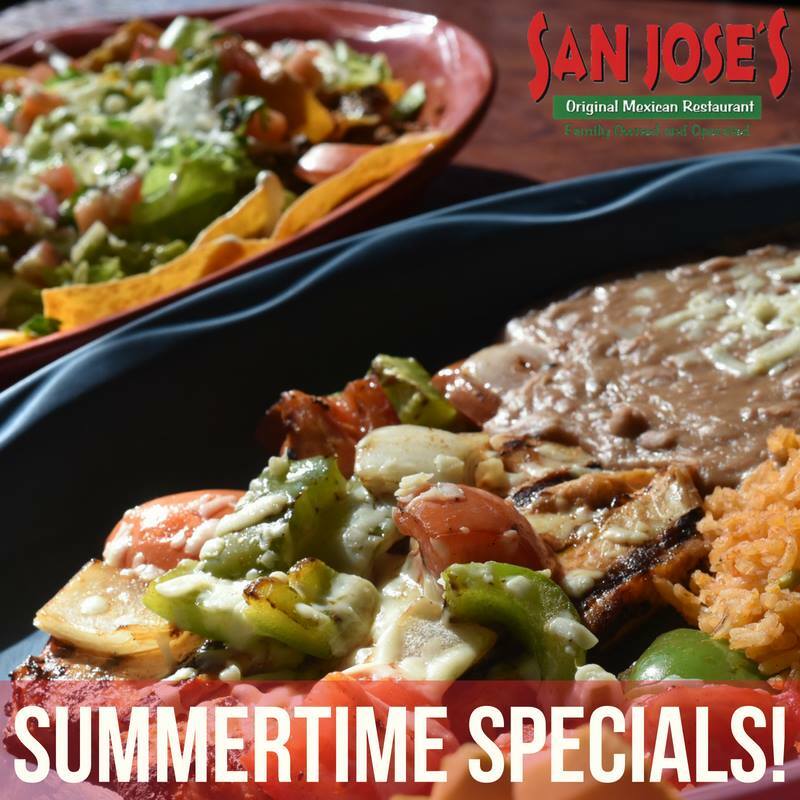 That’s why San Jose’s is now offering the BEST summer special around! From 3-6 PM on Monday, Tuesday, Wednesday and Thursday, you can grab a friend (or family member) and receive HALF off any second entree ordered! That’s right, when you purchase one entree for yourself, you can get the person you’re with theirs for 50% off! Burritos, tacos, carne asada and more! It doesn’t matter which entree you choose, you will receive a second one of equal or lesser value for HALF off! So stop in your local San Jose’s today and start your summer off right! Please note, this offer is not valid with other promotions and is only available on Monday through Thursday from 3-6 PM. We can’t wait to make some summertime memories with you!